Apply the flexible SEL-547 at the transfer switch site (interconnection point between the utility and the customer) and at each individual generator site. 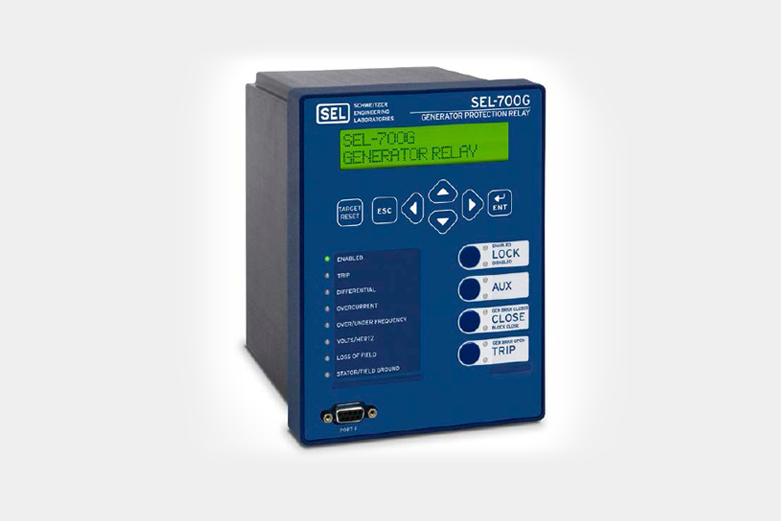 When the SEL-547 at the transfer switch site detects utility supply problems, it separates the customer system from the utility supply. 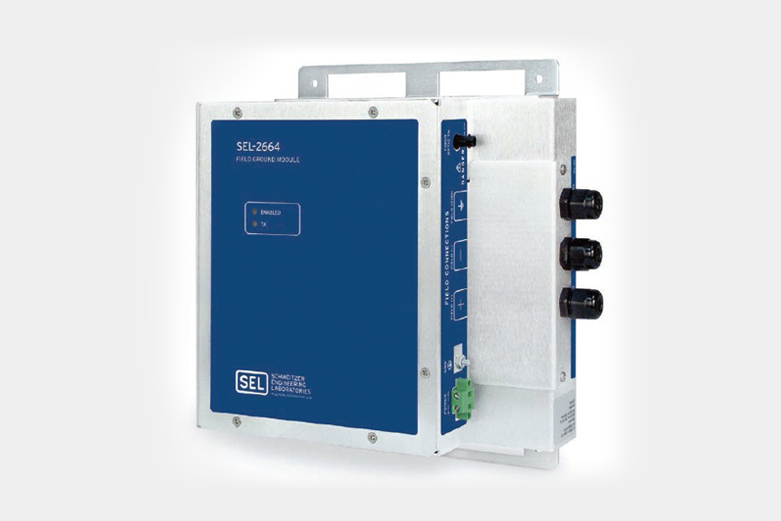 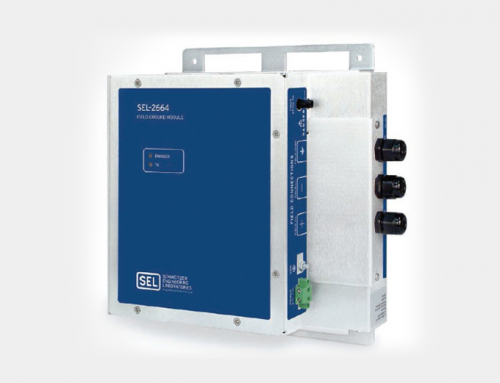 When the SEL-547 at an individual generator site detects a system problem that could adversely affect the generator, it separates the individual generator from the rest of the system. 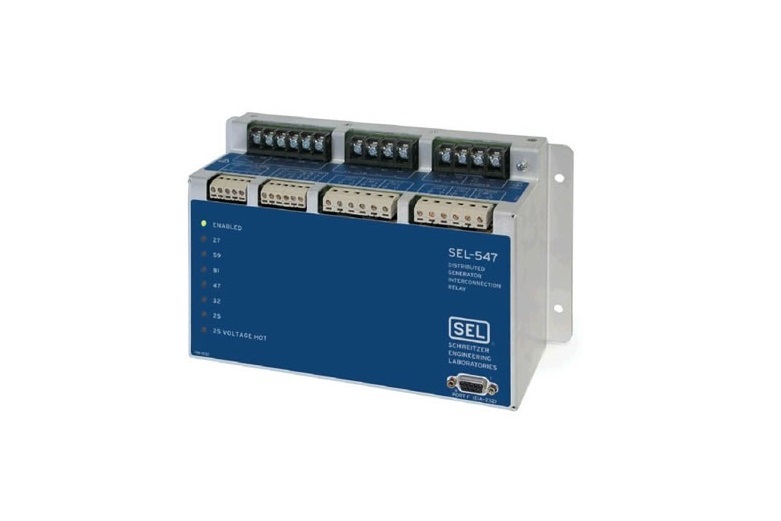 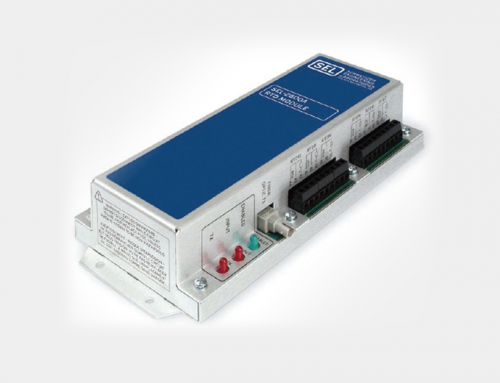 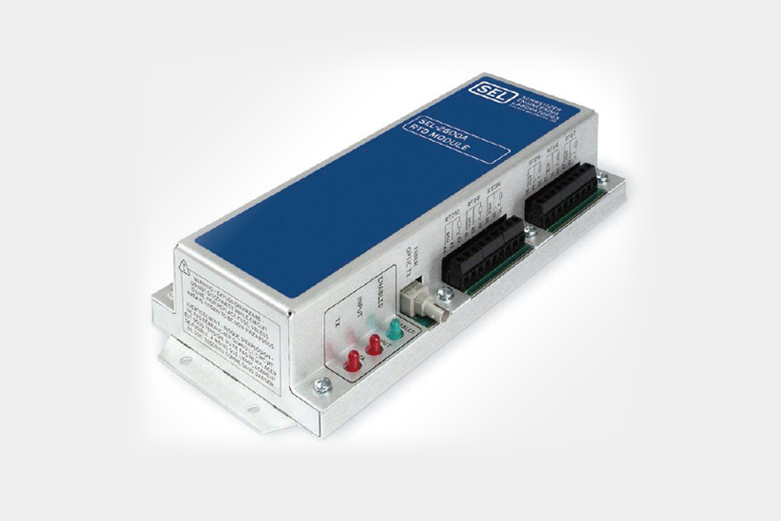 Modbus communications protocol interfaces the SEL-547 to outside communications networks. 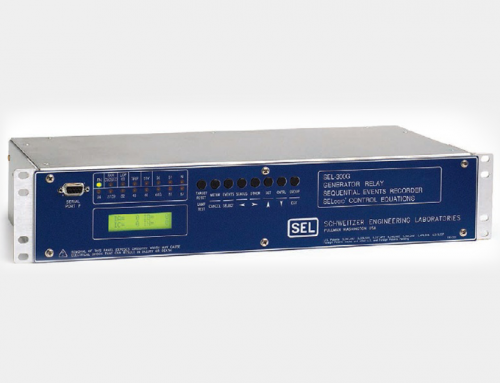 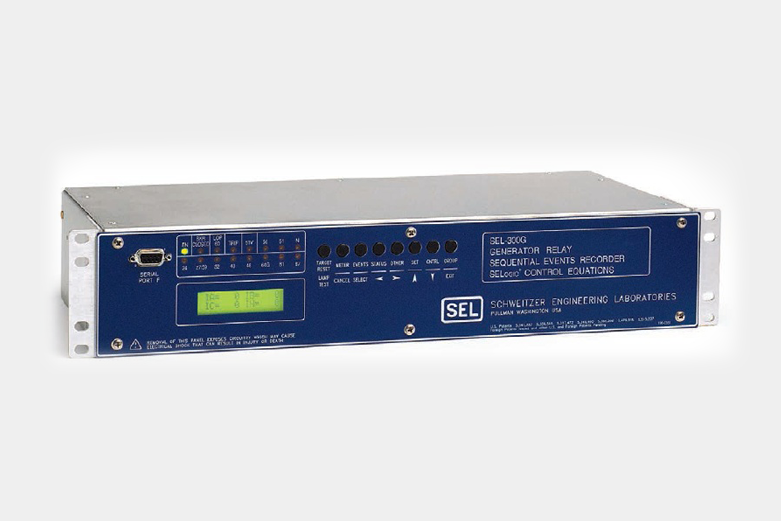 Integrate with SEL communications processors using SEL Fast Meter and Fast Operate messages. 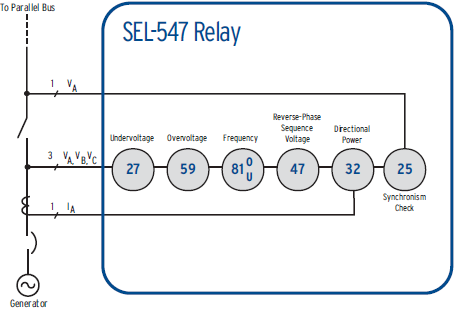 Over-/undervoltage or over-/underfrequency elements operate for local system islanding or system-wide voltage/frequency disturbances. 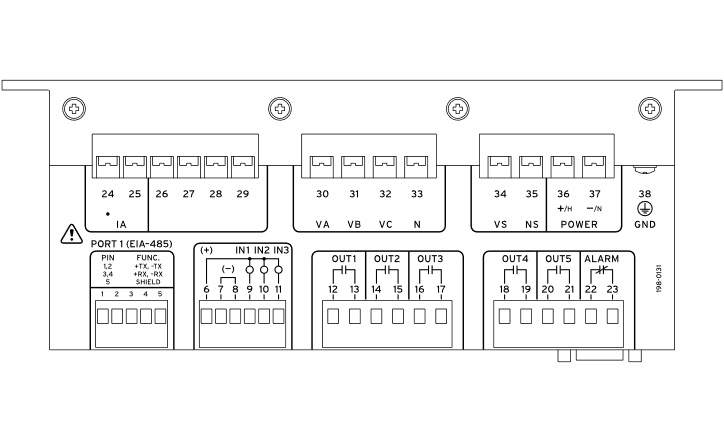 Directional power element operates for power export violations or generator motoring. 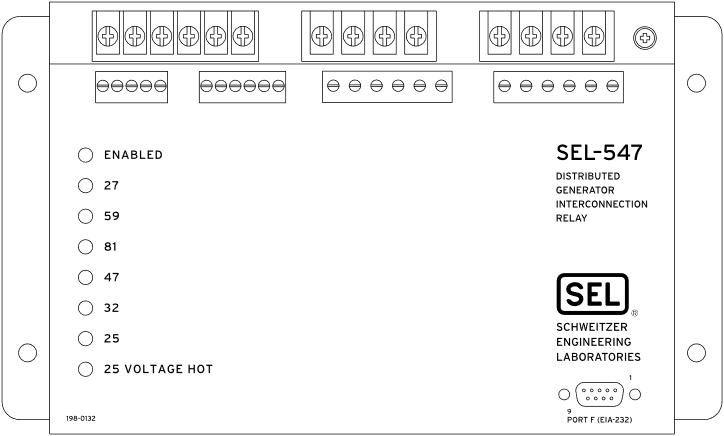 Synchronism check element detects healthy voltage, frequency, and angle, and supervises breaker/switch closing.